Childhood and adolescence are important years for learning about oral hygiene. As kids and teenagers are continuing to brush and floss regularly, they may also be interested in cosmetic dentistry. These younger patients want straighter, whiter teeth just as much as adults do. The following are several cosmetic procedures available to kids and teenagers at your family dentist. As a child’s adult teeth grow in, their bite may not form perfectly. They might also experience spacing issues, such as crowding, throughout their teeth. Straightening methods such as braces and retainers can correct these issues, and it’s best to start this process when the patient is young. Your dentist can assess your child’s teeth and bite to recommend a specific straightening method. This cosmetic procedure is more common for older teenagers, since their teeth are fully developed. 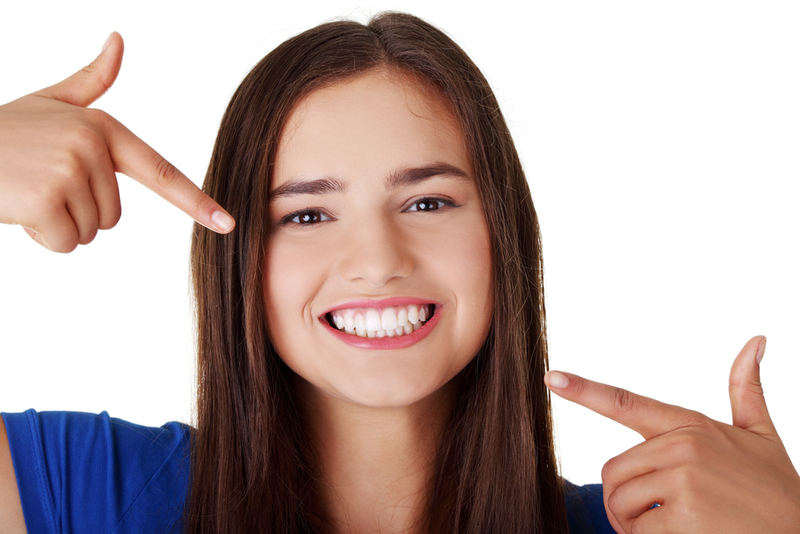 If your teenager is asking about whitening procedures, be sure to talk to your dentist first. They will decide if it is a safe option at this time. Remember that any teeth whitening method provided by a dentist is safer than any DIY method your teenager might try. Children and teens are often susceptible to cracked or chipped teeth, especially if they have an active lifestyle. They may also experience imperfections in teeth shape as their mouth develops. Veneers can be a great option to correct teeth damage or flaws, and they can last for five to 10 years with proper care. This procedure is another way to repair cracked or chipped teeth and uneven tooth formation. Enamel shaping is a quick process that can be performed during cleaning appointments. If your child has uneven tooth shapes, cracks, chips, or other surface flaws, be sure to talk to your family dentist about enamel shaping options. By talking to your dentist about cosmetic dentistry procedures for your child or teen, you can ensure that your family is making informed oral care decisions. Your family dentist can help you decide which procedures are healthy and safe for your child. For cosmetic dentistry and oral care for children and adults, David A. Dauphin DMD has the experience Dothan, AL, trusts. Specializing in cosmetic, general, and family dentistry services, Dr. Dauphin takes a compassionate approach to his work. To learn more about his services and to book an appointment, you can visit Dr. Dauphin’s website or call 334-794-3727.